Buckeye Game Fest is central Ohio’s premiere board gaming convention. Featuring the Columbus Area Boardgaming Society‘s extensive game library, this convention has been a local favorite for over two decades. 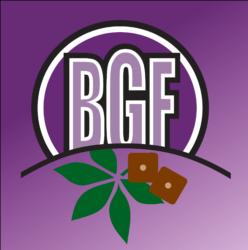 BGF typically hosts over 100 events, including: Artemis ship bridge simulator, Elder Entertainment role-playing events, brand new play tests, and more! 2017 featured an on-site escape room on Saturday sponsored by Trapped Columbus! Don’t miss out on the fun with friends old and new.